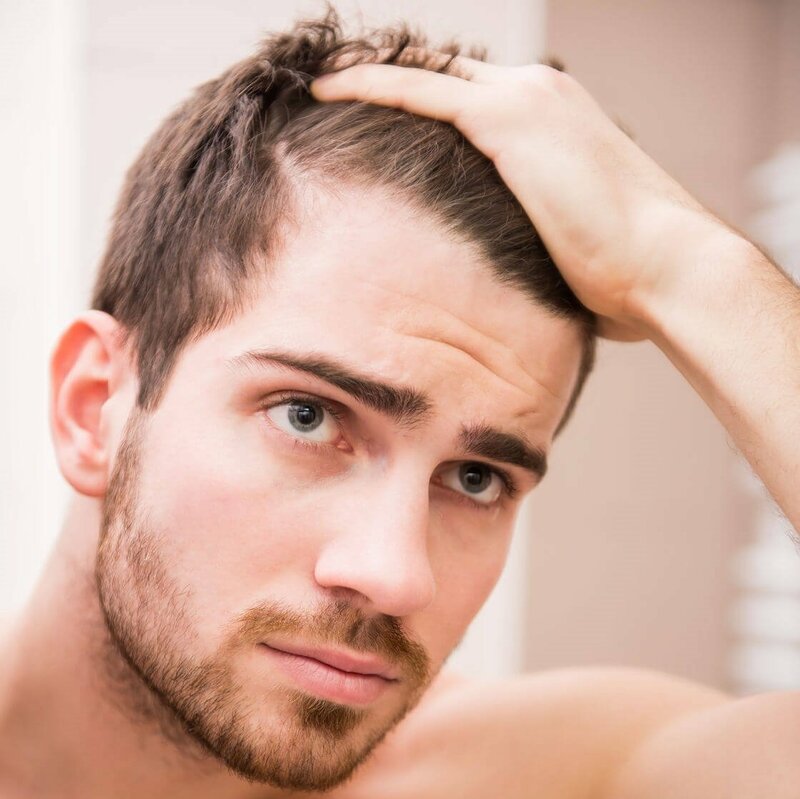 Male pattern baldness accounts for more than 95% of men’s hair loss. Those facing this type of hair loss problem have hair follicles which are sensitive to a hormone known as dihydrotestosterone (DHT). Affected hair follicles begin to shrink, shortening the lifespan of each hair follicle and affecting the quality of emerging new hair. There are two main characteristics of male pattern baldness – a receding hairline and a thinning crown. 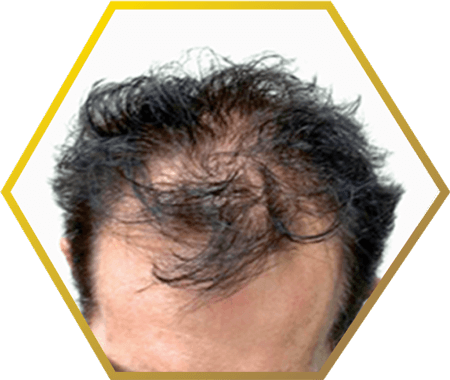 For the M-shaped pattern, hair loss usually starts from the temples. You may find that your hairline is receding, forming an ‘M’ shape and hair continues to fall off from the crown of the head. For the Mediterranean pattern, hair begins to fall from the crown before expanding to the surrounding areas. 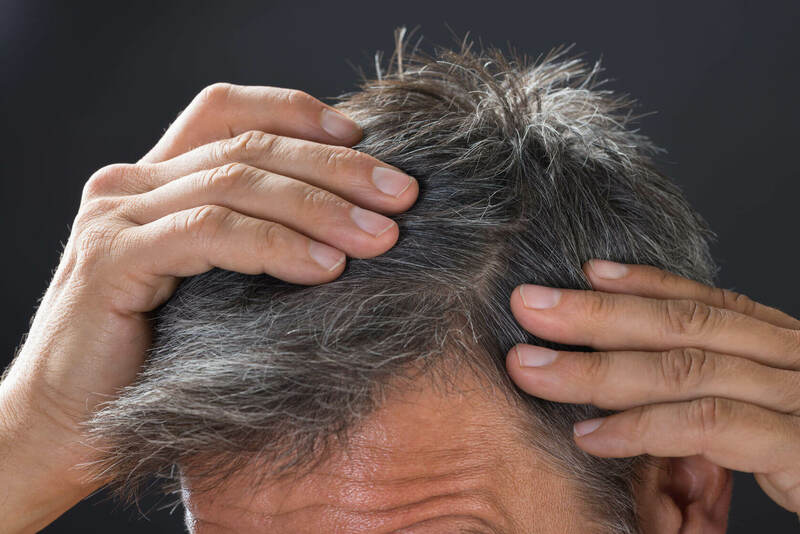 While male pattern baldness is typically hereditary, other factors such as undue stress, work pressure and late sleeping may aggravate the condition of the problem. While a receding hairline can be passed off as having a high forehead in the initial stages of male pattern baldness, hair loss becomes more and more apparent overtime. In the worst scenario, only a rim of hair may be left on the shiny, smooth bald head. While the search for a cure is not absolutely necessary for those who are not bothered by appearance, male pattern baldness may have an influence on work and social life for many. When sought early, professional treatments may help to alleviate the hair loss condition faced by the male population, lowering the chances of reaching total baldness. Greying of hair is an eventual process and no one can escape from it.